Rocco couldn't wait to be an ORGANIX Jerky Chip Cookies taste tester! With all the training we do, we go through LOTS of treats! So it's important to us that our treats are not only tasty, but packed with wholesome ingredients too. So we were super excited to try new ORGANIX Jerky Chip Cookies from Castor & Pollux, the folks whose ORGANIX product line was the first certified organic dog and cat food to meet all of the requirements established by the USDA’s National Organic Program. Rocco keeps his eye on the prize! We know we're not the only ones, concerned about the quality and safety of our treats. Many pet parents want to know where their dog treats come from, especially given recent safety concerns over jerky treats. ORGANIX answers that concern by making the Jerky Chip cookies in the USA, with no ingredients from China. They're available in 10-oz. bags for $7.99 at PetSmart and select online retailers. All the flavors are oven-baked with organic whole grains -- organic oatmeal, organic barley, organic brown rice, organic oat flour -- and protein-packed with jerky chips from high quality proteins like chicken, salmon, beef and lamb. The cookies also contain organic fruits and vegetables including organic peas, organic apples and organic carrots, and contain no corn, soy or wheat. The Oatmeal & Chicken recipe is made with 95 percent organic ingredients (including organic chicken), so this recipe can bear the USDA Organic logo on the front of the bag. So now for the real test… what does Rocco have to say? 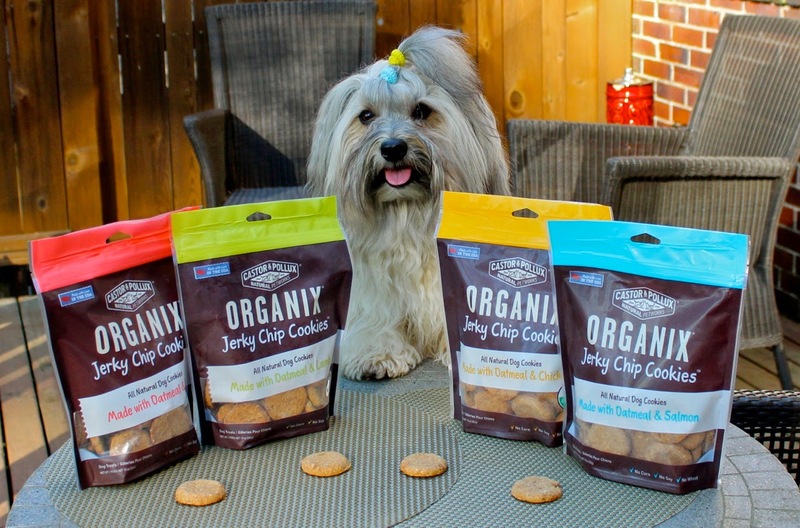 Rocco gives ORGANIX Jerky Chip cookies four paws up! He loves the crunch, and by the look of his face he sure is savoring the flavor. I like them too for their wholesome ingredients, and they're easy to break apart into tiny pieces for training. 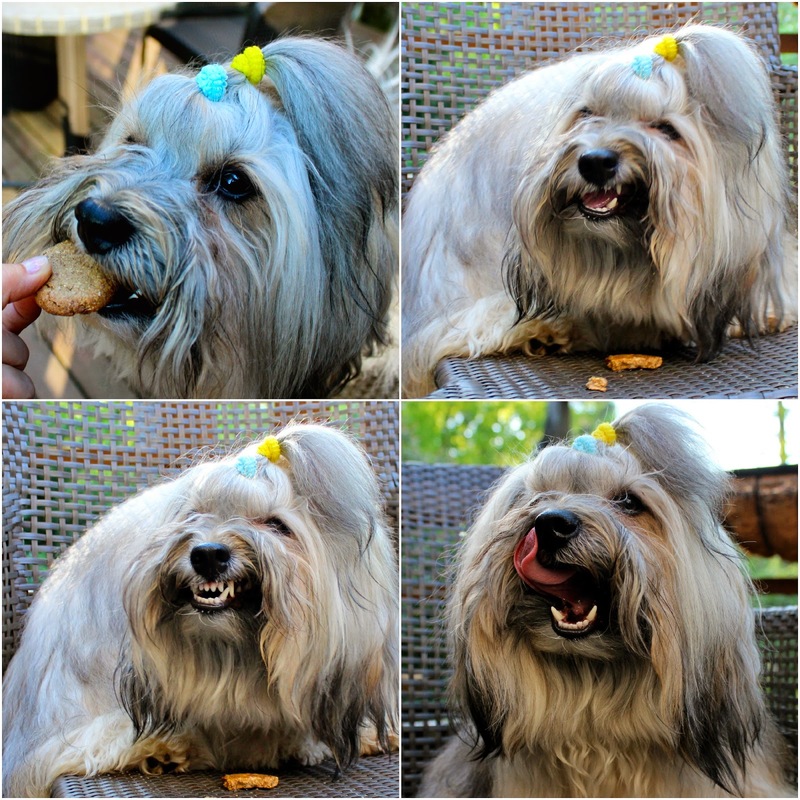 Lots of other dogs have been taste-testing the first batches of ORGANIX Jerky Chip cookies, and you can check out what they have to say in the #ASmartCookie gallery on the Castor & Pollux Facebook page. 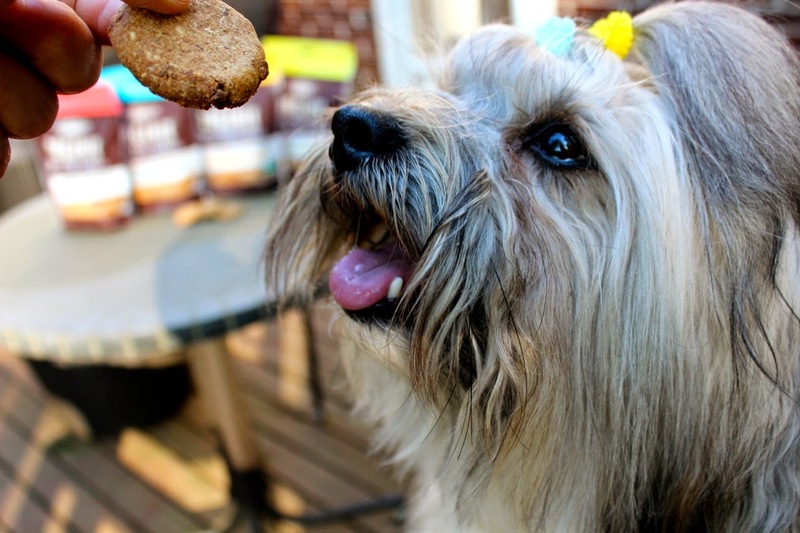 Want a chance to sample some ORGANIX Jerky Chip Cookies and learn more about organic pet foods? Mark your calendar for this Sunday, May 4, 8-9 p.m. 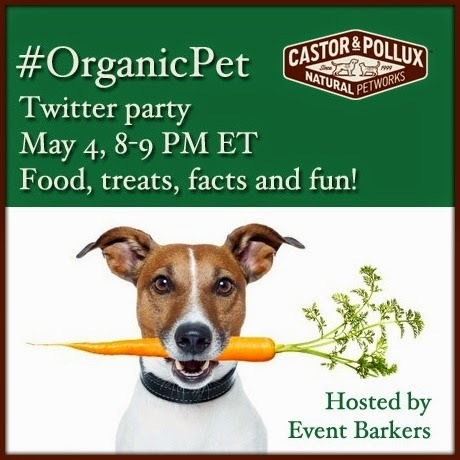 ET when we'll be co-hosting the #OrganicPet Twitter Party! We'll be there with the experts from Castor & Pollux, who will be on hand to answer all your questions. You'll also have the chance to win prizes from Castor & Pollux (including Jerky Chip cookies!) valued from $70 - $120! Head over to our RSVP post to enter our pre-party giveaways and RSVP for this great event! We are working with Castor & Pollux through our partnership in Event Barkers to produce this Twitter party and share product news with our readers. Prizes will be provided and shipped by Castor & Pollux. At To Dog With Love, we only share information we believe in and all opinions expressed herein are our own. You know, those really look like Hershey's bags of candy. They do look good and well yummy. Have a tremendous tasty Thursday. They look and sound pretty tasty! Sodium Nitrite is a preservative added to some jerky products that helps the shelf life of the meat and helps to counter-act discoloration of the product.